Happy Friday! According to my Instagram poll you all wanted more items under $50. 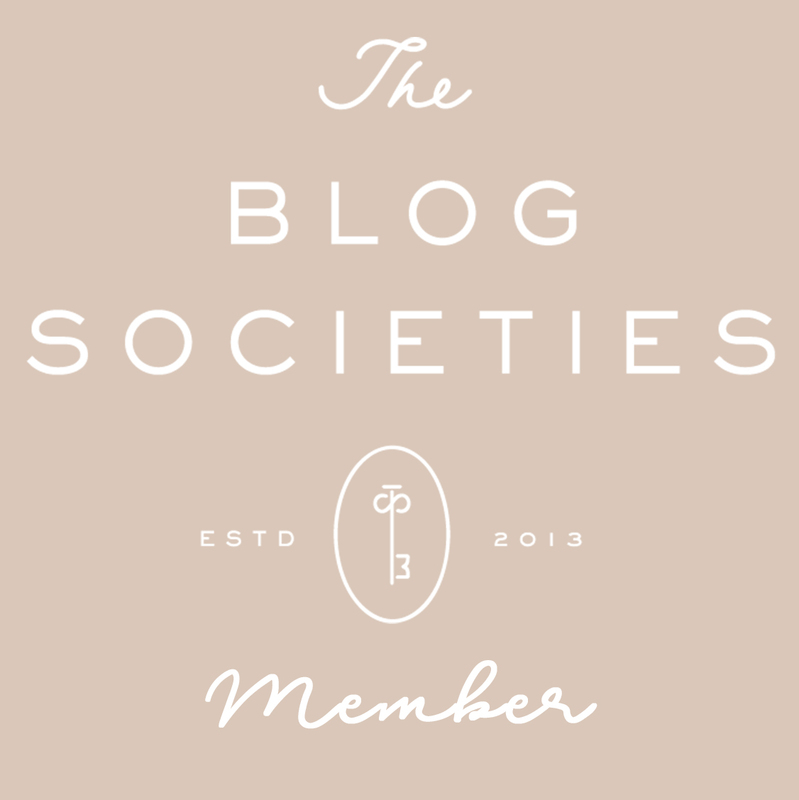 That got me to thinking and decided to start a blog series. 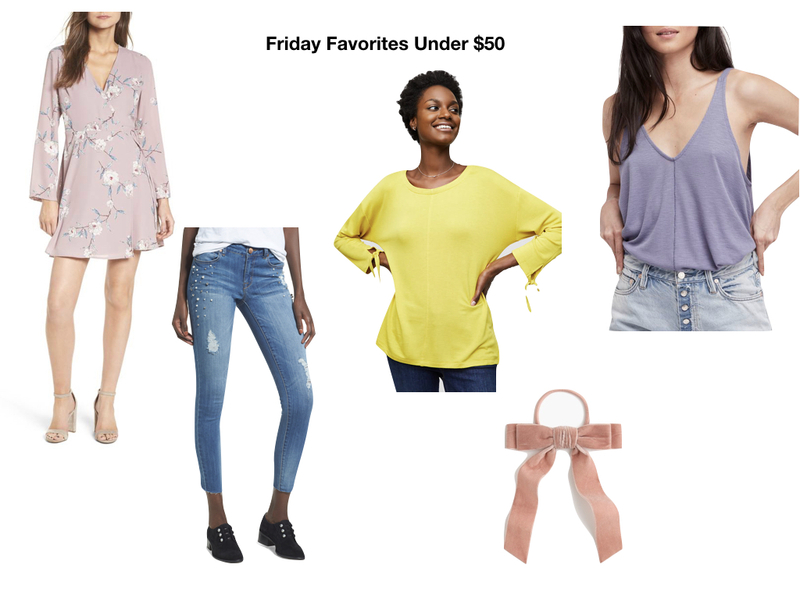 Every Friday I will post 5 items that are under $50. You all liked a mix of trendy and basic pieces. Therefore the 5 items will be trendy pieces to basic pieces to add to your closet. Even better they are all under $50. Most of these items are already in my cart. This Lavender Floral Dress I think would be great with a black leather jacket now with black booties and into Spring with Sandals and a jean jacket. These Pearl Detail Skinny Jeans are such a fun trend right now. I love the cropped version for when the weather gets a little warmer. Also a little trick you could wear these with boots or over the knee boots now :) This yellow Tie Cuff Top top screams Spring to me. I may have a little cabin fever with it being so cold lately. 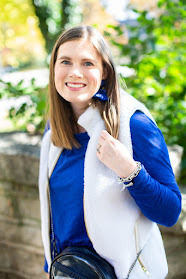 I also think you can wear bright colors in the Winter, this top could pair well with your a fur vest and booties now and into Spring with a pair of cute flats. This Tie Cuff Top is currently 40% off with code Fresh. I am all about a cute basic tank. This Dani Swing tank in this lavender color is so hot right now. I think this would be so cute over a bralette (under $50). It also comes in 3 other colors. Finally this Velvet Bow Hair Tie would be perfect for Valentines Day with a black top or black dress. It is also currently 25% off with code GOTIME. Let me know if you all like this new series and if you would like any changes.